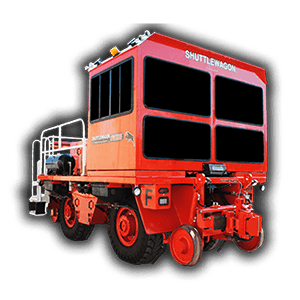 Shuttlewagon is the only mobile railcar mover manufactured to use no less than Tier 4 Final engines in all new machines shipped direct from the factory. Also available in industry leading hybrid and zero emission options utilizing Lithium-ion, Li-Ion, battery technology. Shuttlewagon offers previously operated, low-hour, late model ‘wagons in addition to other used mobile railcar movers. Reconditioned and Remanufactured options are also available, direct from the factory. An extensive rental fleet consisting of all makes, models, capacity range and ages are available for short term, long term and RPO programs. Dispatched from numerous locations across the United States we strive to have the right machine in the right location at the right time. For ANY brand of mobile railcar mover! Who better to service you after the sale then the same team that built and provided your solution in the first place. Shuttlewagon employs field service techs strategically located throughout the United States to provide both convenient, preventative maintenance, as well as prompt emergency repair response. 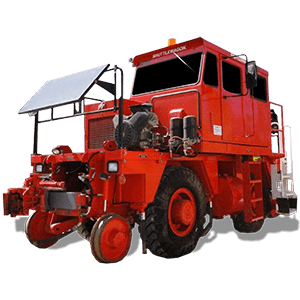 Our factory-employed technicians specialize in all brands of railcar movers. Nearly any job can be addressed in field. However, Shuttlewagon has a dedicated staff of technicians and engineers at the factory committed to multi-level refurbishment and frame-up rebuilds of all brands of mobile railcar movers. 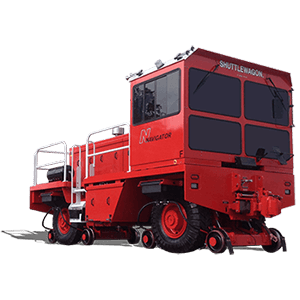 Remanufactured Shuttlewagons are also produced within this particular division of the company. Contact our team of product support specialists who will work diligently to provide you with the parts and component support you need to keep your machine up and running. Specializing in all things Shuttlewagon, our group is able to support Trackmobile® and Rail King™ brands as well. 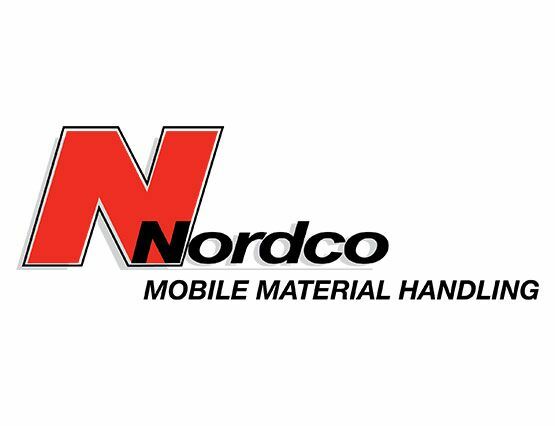 In production for more than 40 years, Nordco works directly with customers that rely on Shuttlewagon Mobile Railcar Movers every day. At Nordco, innovation is driven by users of our products who demand a safe, efficient and dependable railcar mover. We are proud of what we do and are here to help your operation run more smoothly. * Actual quantity of cars pushed/pulled depends upon railcar weight and track conditions. We Ensure That Support Is Always Available.